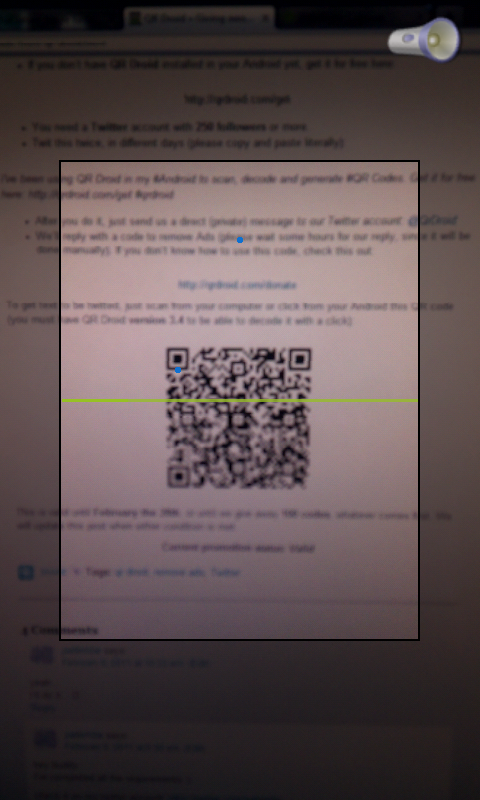 QR Droid version 3.5 has been released! 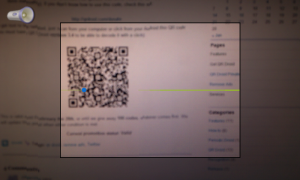 World wide availability: QR Droid is now available in 18 languages! You can use it in: English, Danish, Japanese, German, Dutch, Korean, Norwegian, Romanian, French, Czech, Spanish, Italian, Portuguese, Russian, Swedish, Chinese (China), Portuguese (Brazil), Chinese (Taiwan). Scan in both portrait and landscape orientations. Thanks for this suggestion. 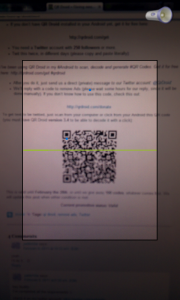 If you have a Web page or blog and publish QR Codes on there; or if you are an Android app developer, this is good news! 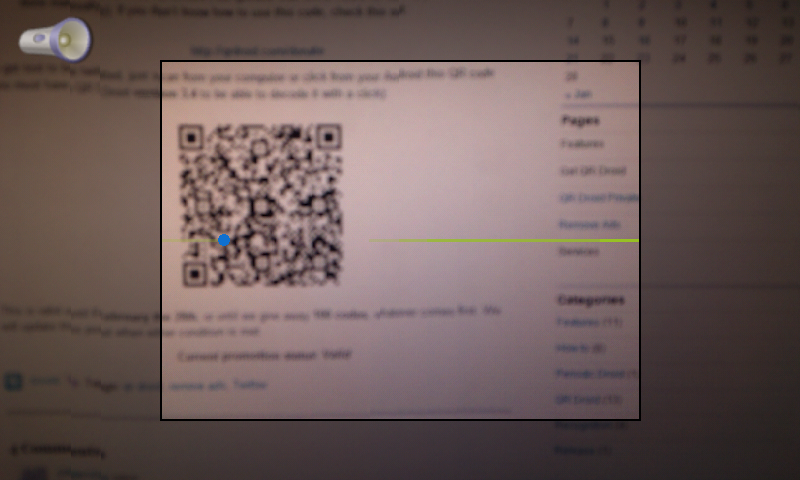 Now, you can offer your users any QR Code-related service with one single step!